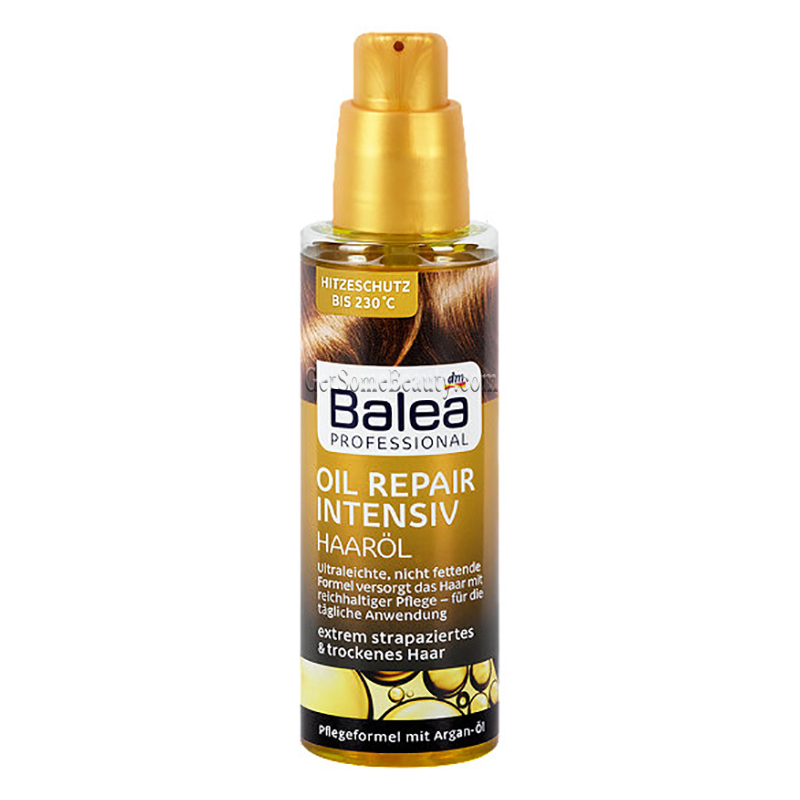 The Balea Professional Hair Oil is suitable for fine and dry hair. It nourishes hair before washing. 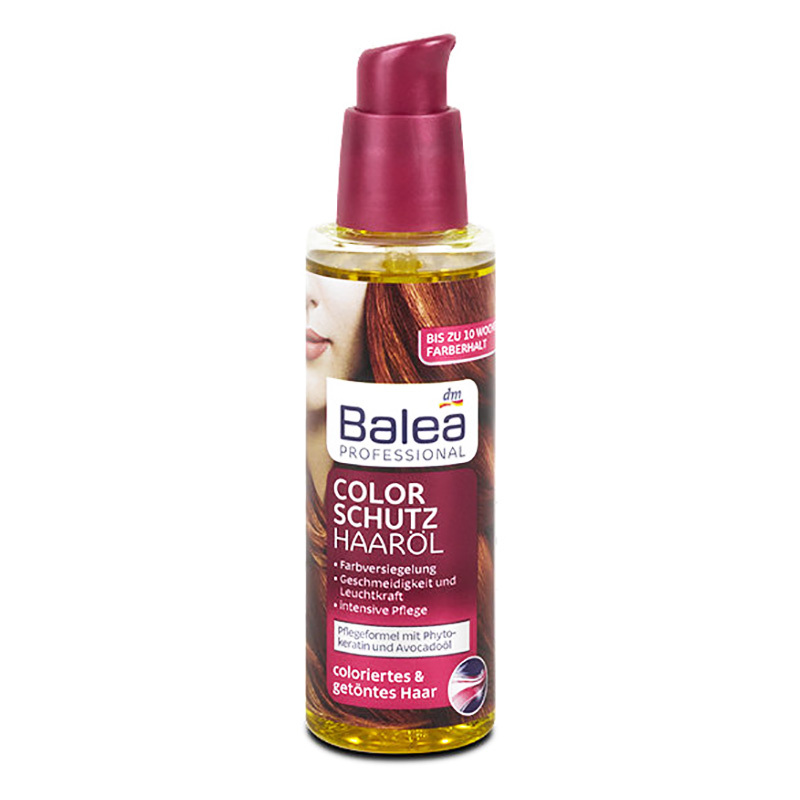 The hair quality is improved and it gains more shine and suppleness. Application: Before shampooing apply on the dry hair. Depending on the length of the hair, distribute a few pumps of oil and allow to act for about 5-15 minutes. The hair should be covered with a shower cap. Then rinse the hair oil and then wash the hair with shampoo as usual.